A defused wartime shell will be taken into classrooms in Nottinghamshire as part of a new project to help pupils learn more about World War One. 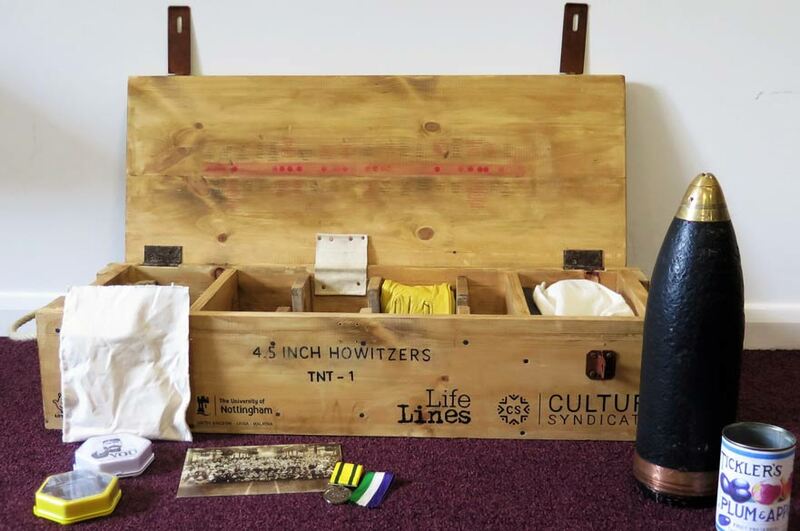 The 4.5 inch howitzer shell is being presented alongside other historic items in a number of specially designed crates to bring wartime stories to classrooms. Distributed by Culture Syndicates – a heritage business at The Hive, Nottingham Trent University’s centre for enterprise and entrepreneurship – each crate tells the story of three individuals who experienced the war. The three people featured are ancestors of researchers at the Life Lines amateur history group, who have worked in partnership with Culture Syndicates and the University of Nottingham’s Manuscript and Special Collections department to document and collate their stories. One of the three boxes explores the tragic story of Fanny Taylor, who worked in the Chilwell munitions factory with 4,000 other women, who were dubbed the “canary girls” after exposure to TNT left their skin yellow with jaundice. At just 21 years old, she was one of the 134 workers killed when eight tons of TNT exploded at the National Shell Filling Factory, Chilwell on 1 July 1918. The crate that holds the story of her life includes the defused shell, shrapnel balls from the Battle of the Somme, and leather gloves similar to those used by the canary girls. Culture Syndicates hopes the interactive artefacts will allow pupils to understand Ms Taylor’s story and the personal histories behind the war. The two other crates tell the stories of Nottinghamshire soldiers: Harry House, who was killed by falling debris from an explosion; and John Wilfred Headland, who lied about his age to join the army and survived the war. Culture Syndicates is now looking for more local schools to take part in the project and benefit from the interactive resource. Charlotte Pratley, Director of Culture Syndicates, said: “The project empowered local people to share the stories of their ancestors with school pupils. It has been incredibly inspiring to help the Life Lines members realise their ideas, and great to see their reactions when artist Claire Witcomb unveiled their completed crates. “Using genuine and replica items, comparisons between WWI and today’s society can be drawn. Items encourage pupils to consider identity and faith, mental health, disability and treatment, and to explore political issues like women’s rights and suffrage. Since the launch, crates have been a success at three schools, which receive them free of charge thanks to the Heritage Lottery Fund’s First World War: Then and Now grant programme. Two more schools have now booked to use the resources, and it is hoped that further schools will use the crates once they are given their permanent home at Manuscripts and Special Collections. Nottingham Trent University’s five-year strategic plan – Creating the University of the Future – has five main ambitions: Creating Opportunity, Valuing Ideas, Enriching Society, Connecting Globally and Empowering People. The Queen's Anniversary Prize for Higher and Further Education was awarded to Nottingham Trent University in November 2015. It is the highest national honour for a UK university, and recognises the institution’s world-class research. 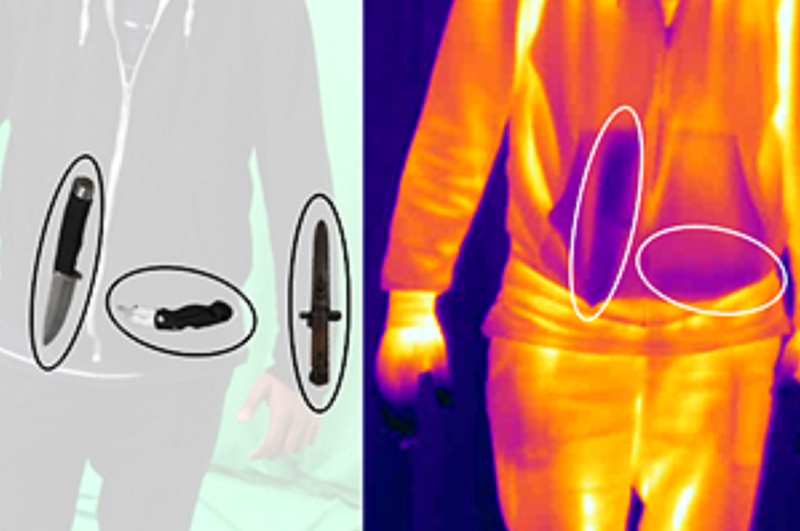 Pioneering projects to improve weapons and explosives detection in luggage, enable safer production of powdered infant formula, and combat food fraud, led to the prestigious award. Manuscripts and Special Collections is part of The University of Nottingham, but is open to the public by appointment. In the collection at King’s Meadow Campus there are more than three million records in over 600 manuscript and archives. The University also has a number of named special collections of rare books and published works, ranging in size from under fifty volumes to several thousand.